The OSL reader myOSLraser (reader + eraser) is a manual device for evaluation of its single OSL dosimeter called "myOSL" dosimeters. Equipped with a feeder it automatically processes up to 200 OSL dosimeter per loading. 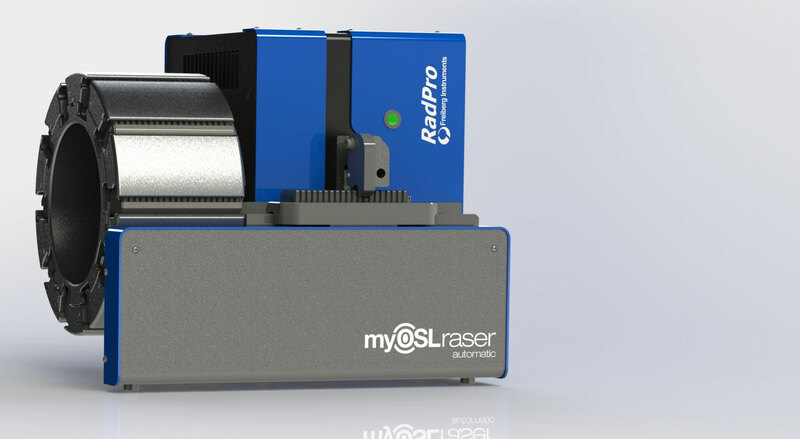 The myOSLraser is the only OSL reader for personal dosimeters which also provides the capability of erasing the residual signal from the OSL detectors in the same device which can be activated or deactivated if a second readout is requested in the operating software myOSLstudio.